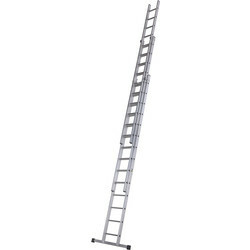 Safely complete trade jobs or DIY projects at various heights with a stable extension ladder. 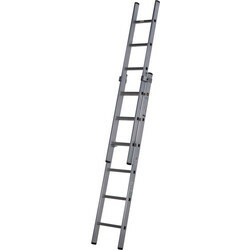 At Toolstation, we offer a range of extensions ladders from top-quality brands. 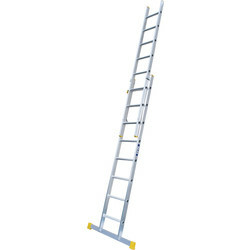 Browse our range of Werner, Youngman and Lyte extension ladders now to find the perfect ladder for you. 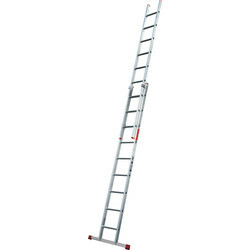 Whether you are looking for a trade extension ladder or something for home, we have a range of styles for whatever you need. Our choice of extension ladders are available with a variety of different rungs, sections and lengths. The lengths of our extensions ladders range from between 1.92m and a maximum of 5.96m. 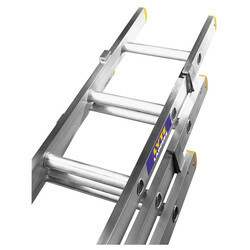 Our Lyte extension ladders are available for both domestic and trade use. The Lyte trade extension ladder is made from the highest grade of aluminum for lightweight mobility and strength. 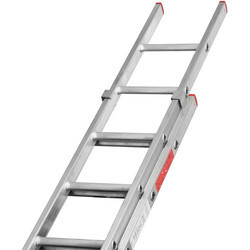 The Lyte domestic extension ladder has an impressive BS2037 Class 3 safety rating and non-slip feet to prevent the risk of accidents. 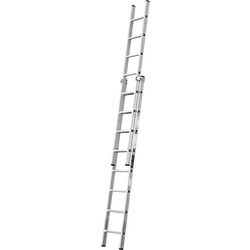 If you are looking for ladder with adjustable steps, take a look at the Werner telescopic extension ladder. 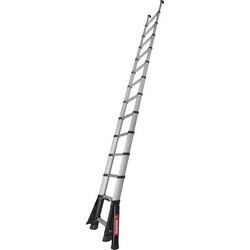 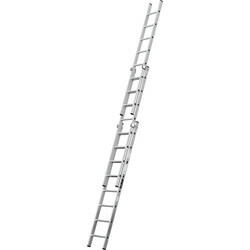 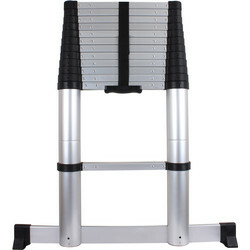 This extension ladder has wide and comfortable treads. It is an ideal extension ladder for professional tradespeople and inspectors due to its easy storability and light weight. The Youngman extension ladders available at Toolstation feature either 2 or 3 box section stiles for security and safety. Both extension ladders have a long open length up to 5.69m and can support a safe working load up to 23.6 stone.